Having problem most of the time no network or the phone cannot make calls. Even worse when playing a game internet connection gets disconnected. Experience for me has been quite good so far buying the phone around 3 weeks ago. The UI can be a hit or miss depending on the person using it, one of the drawbacks for me was that it didn't have an app drawer for which I just simply used Nova Launcher. A few of the drawbacks I found with the phone was that even though the camera took big pictures, it couldn't record in 60fps and it could have a better CPU considering the price. My favourite things about the Phone are definitely the design as I'm quite fond of the teardrop notch and the back of the phone, the display as it has a high screen to body ratio along with an AMOLED screen which makes the colours appear pretty vibrant but not too vibrant, and most definitely the VOOC charging which can charge it in 40 minutes for me. (One thing to note is some regions may not have the on display fingerprint scanner). 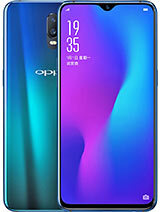 If you are in a region where the OnePlus 6 is supported I would consider that as an alternative, but if you are looking for a good mid range phone and OnePlus 6 isn't supported in your region (it wasn't supported in Australia hence I went for the Oppo R17), I'd recommend the Oppo R17 if you are willing to put up with the few drawbacks. I purchased this phone about 6 weeks ago and dropped it in water (by accident of course) but fetched it out quickly. It quickly started to die off and a week later, no phone. I know it's my own fault but users beware - if you're looking for a phone that is very accident-proof, check the IP rating which lets you know how waterproof a phone is. This phone is not - at all. Henry, 05 Jan 2019How much is battery life in this phone ? ( Screen On time , Vide... moreBattery Life is fare enough. It gives full day support with multi tasking on whole day. Anonymous, 20 Jan 2019You want super vooc or type C port? Don't act childish. Charging... moreThe VOOC Charge speed is unbeatable. It charged the phone from zero to 40% is just 10 minutes. Its a C type charging. clf, 11 Jan 2019Dudes, Oppo R17 should be using USB Type-C as charging port inst... moreCharging Port is C-Type and not micro USB. Anonymous, 21 Jan 2019How is in indisplay fingerprintUnder Display finger print is Perfectly fine and effective. clf, 11 Jan 2019Dudes, Oppo R17 should be using USB Type-C as charging port inst... moreYou want super vooc or type C port? Don't act childish. Charging speed matters not the port. 3. Way better camera. You can't compare. pocophone f1 is way cheaper and have more powerful spec then this phone tell me why should i buy this over the pocophone f1? I need a new phone so i ask. Dudes, Oppo R17 should be using USB Type-C as charging port instead of micro-usb!